eBay is the latest online giant to fall prey to a security breach and is asking its users to change their passwords on the site as a security measure. eBay is the latest online giant to fall prey to a security breach and is asking its users to change their passwords on the site as a security measure. 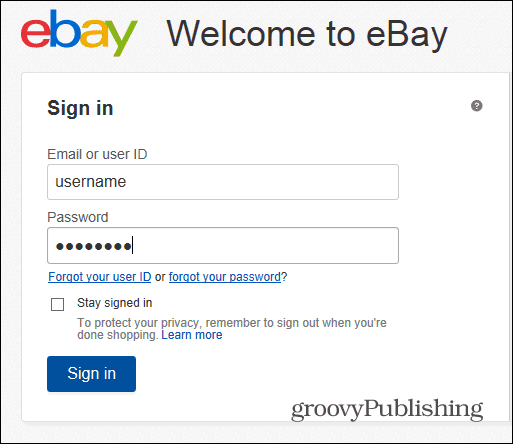 If you’re new to eBay or have never changed your password before, here’s a step-by-step tutorial on how to do it. According to a press release from the company, a cyberattack has compromised a database which contained encrypted password and non-financial data. It’s important to know that there is no evidence of the breach affecting PayPal users, as PayPal data is stored somewhere else that’s more secure. So you can rest assured on that front. The attackers have gained access to the database using a few employee log-in credentials, which permitted the unauthorized access. The company also says that it would notify users to change their password and, if the passwords have been used on other sites, to change those passwords, too. You can read more about the breach in this article that we wrote yesterday. 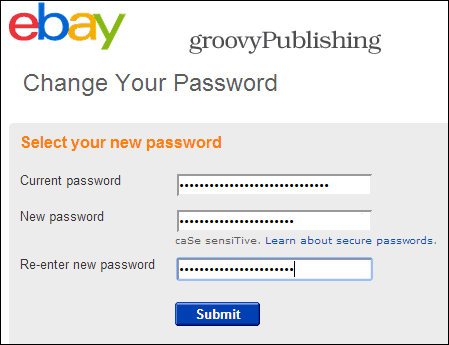 Changing your eBay password is quite simple. 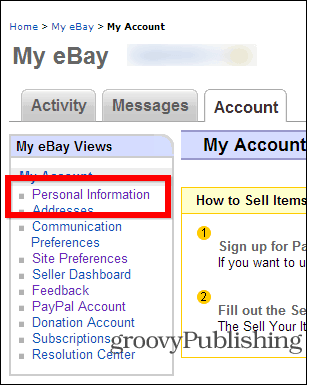 Start by logging in to your eBay account with your current username and password. 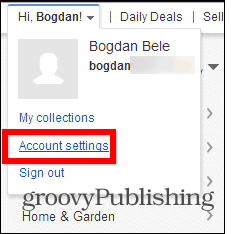 Next, on the top left side of the screen, click the arrow next to your name and from the dropdown menu click Account settings. On the next screen go to Personal Information. Now click Edit on the Password line. Then you will be required to sign in again before you can make changes. Type in your current password again and then a new one twice to confirm it. Click Submit and you’re all done! 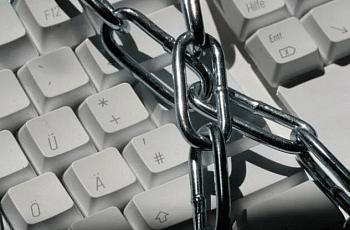 Your password is now changed and you’re much safer as a result. The only issue with changing your password is to see who gets notified. As in my case both the email and text number were not mine. So in that case I had to go to eBay and have them close my account. Wow… both your email and phone # had been changed. Yeah, at this point better to just open a new account…..